Poets have romanticized the eyes over centuries. The beauty of the eyes has been voiced through civilizations. Many songs have been written about them, all aspects of the eyes have been glamorized. The Egyptians ceremoniously decorated the eyes, the Hindus apply kajal to highlight the eye contours, and the western civilizations called eyes the window to the soul. 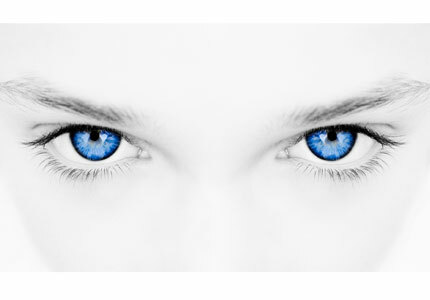 Researchers today look at the eyes with from a different perspective. One such researcher is Richard P. Wildes. He looks at human eyes to identify people. The biometric based technology is called iris recognition. It is suggested that the iris is as distinct as a fingerprint or the patterns of retinal blood vessel. The iris is composed of several layers. Its posterior surface consists of heavily pigmented epithelial cells that make it light tight (i.e. impenetrable by light). Anterior to this layer are two cooperative muscles for controlling the pupil. Next is the stromal layer, consisting of collagenous connective tissue in arch-like processes. Coursing through this layer are radially arranged corkscrew-like blood vessels. The most anterior layer is the anterior border layer, differing from the stroma in being more densely packed, especially with individual pigment cells called chromataphores. The multi-layer structure of the iris together gives it the unique appearance. Wildes (1997) cites literature which states that the appearance of the iris does not change with the age of the individual. This is important because repeatability is guaranteed across longitudinal sections of studies and research. Also there is guarantee that the iris will remain relatively unchanged for recognition purposes. Wildes (1997) explains the process of image acquisition, iris localization, pattern matching and recapitulation. He states that the “major challenges of automated iris recognition is to capture a high-quality image of the iris while remaining noninvasive to the human” (Wildes, 1997, p. 1351). He explains the problems associated with iris illumination when the acquisition of the image is to take place and compares the illumination approach adopted by Daugman, LED-based, with his own which is a diffuse source and polarization in conjunction with a low-light camera (Wildes, 1997, p. 1353). It is necessary to localize that portion of the image derived from inside the limbus (the border between the sclera and the iris) and outside the pupil. Further, if the eyelids are occluding part of the iris, then only that portion of the image below the upper eyelid and above the lower eyelid should be included. Typically, the limbic boundary is imaged with high contrast, owing to the sharp change in eye pigmentation that it marks. The upper and lower portions of this boundary, however, can be occluded by the eyelids. The pupillary boundary can be far less well defined. The image contrast between a heavily pigmented iris and its pupil can be quite small. Wildes (1997) explains further, that while the pupil typically is darker than the iris, the reverse relationship can hold in cases of cataract. He talks about the eyelid contrast as a variable which depends on the relative pigmentation in the skin and the iris. The irregularities of the eyelid boundary due to eyelashes can cause difficulty in localization of the iris. It is obvious that the localization of the iris is no simple matter. There are lots of variations in the process of capturing the iris. The iris recognition system proposed by Wildes (1997) uses four goodness-of-match measurements that are calculated by the previous stage of processing. It becomes possible to conduct 1:1 comparison and 1:N matching. It is possible to enroll an individual without invasion; just a video camera can capture enough detail to recognize the individual under scrutiny or observation. It is quite amazing that biometrics of the eye have enabled automated systems that realize the potential of a century old suspicion that the iris can be used to recognize human beings. Wildes (1997) has contributed significantly to the field of iris recognition and moved the field of biometrics one step further. I do not agree with any position that suggests open source software is an attractive option for emerging technologies. Although emerging economies may choose to adopt open source software, the primary driver for that adoption is not free software. The cost differential of open source alternatives to available commercial alternatives is not significant enough to affect national economies or drive decision of corporations in those economies. In this paper I explore the definition of open source software, its primary drivers for adoption in industry and the open source business model. I hypothesize that open source software is a collaborative software development model that owes its success to quality, security, openness and extensibility but not low price alone. Also, I augment to the hypothesis: open source is not targeted for emerging economies or markets alone; rather open source is targeted at the whole world and any adopter. This is the beginning of a historical era in collaborative development. The minds of top software developers are converging on global digital networks to produce high quality software for free. 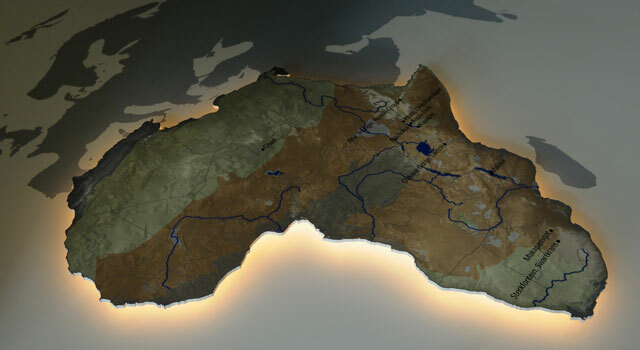 The Internet has created synergies of geographically dispersed minds to collaborate and develop open source software (Jesiek 2003). And they distribute the software and its source code for free. The Internet has made open source collaboration and distribution fast and easy. In a September 2003 article, Jesiek expands “proliferation of computing technologies and the concomitant growth of global information and communication networks are very significant historical movements”. Open source is guided by the motivations, creativity, and desire of the software contributor. It is a product of community culture. It is a movement that is technical, political and sociological. The movement is not confined to a limited group of products or people but is rich in breadth and depth; it is a treasure chest teeming with technologies and best-practice methods (Gustafson, Koff n.d.). A survey by Boston Consulting Group in 2002 of developers using SourceForge found that respondents were, on average, 30 years old and had 11 years of programming experience. These were experienced professionals contributing to quality software products for free. What motivated them to do this? Community credibility is an underlying motivator for joining an open source project. The lure of open source includes solving technical challenges; drawing of making a contribution the rest of the community can use; the enhanced skills and reputation (marketability) that comes from being an active member of the community; and the potential for providing fee-based services for open source software. Developers are motivated by the opportunity to branch out and work with products they don’t normally work with in their day jobs – say, video programming – and they are also motivated by pure fun (Gustafson and Koff). Open source is being adopted by developed nations and corporations at a greater pace than developing economies. Organizations of all kinds are consciously adopting open source software for critical business needs: Deutsche Börse Group, Deutsche Bank, the Danish government, BlueScope Steel, NASA, the Associated Press, J.P. Morgan Chase and Google. Packard, Oracle, SAP, Sun Microsystems and Dell are supporting open source (Gustafson, Koff n.d.). What is the catch? Like all software – open source too has its costs. Maintenance and support costs are left to the adopter to absorb. Koch (2003) elaborates, just because you download open-source applications for free doesn't mean you won't have a whole host of associated costs such as maintenance, integration and support. Since open source software can be traded in markets just like any other kind of artifact one cannot definitely tag open source software as having zero price, explain Scacchi (2003). Programmers often explain this seemingly incongruity with simple shorthand: when you hear the term “free” software, think “free speech” not “free beer”; or ‘software libre’ not ‘software gratis’. Adopters must be able to bare the hidden costs associated with open source software. The success of open source software is surprisingly not attributed to its zero monitory cost of purchase. Schadler (2004) attributes the success of open source to high availability, self-training opportunity, and support. He contrasts this with commercial software and underlines the non-availability of software and self-training. Not only emerging economies, but all types of economies and corporations may adopt open source software. Just as free speech is not intended primarily for oppressed dictatorships, in the same way open source is not intended for poor or developing nations and economies. Although open source is free, it is not free of obligations and lack of guaranteed support. This makes it less attractive for emerging economies. The fact that open source software is free can be confusing to skeptics and adopters. Scacchi (2003) explains the meaning of “free” in open source software. He elucidates that “Proprietary source code is the touchstone of the conventional intellectual property regime for computer software. Proprietary source code is supposed to be the fundamental reason why Microsoft can sell Windows for around $100 or why Oracle can sell its System 8 data management software for many thousands of dollars”. Open source software process “inverts this logic” (Scacchi 2003).It differs from commercial software in one fundamental aspect – source code is distributed with the runtime binaries of open source products. All documentation, source code and the runtime binaries are provided by the development community for free. Licensing can be tricky for smaller companies who are vulnerable to lawsuits through lack of indemnity in open source products. The “as-is” aspect of open source software is risky. There is a possibility that part of open source software “copied code” from some other licensed product. It is very difficult for the companies to identify or compare open source with licensed software products to identify theft. This exposes the company using open source software to lawsuits from companies claiming that the open source software violates their intellectual property rights. New markets and emerging economies should take note of this risk. Open source software will disrupt commercial software markets with low-cost, good-enough components (Schadler 2004). But low cost of open source is not the primary driver; the combined value proposition of zero cost of open source in conjunction with good quality software makes open source a global movement of such proportion. Software developers strive for heroism, and a few have attained cult status. "Heroism in these communities means proposing an interesting improvement and getting everyone to acknowledge it," says John Sarsgard, vice president of Linux sales programs at IBM in Armonk, N.Y. "That's the way these guys get their strokes—everyone recognizes that their way of doing it is the best way." When security bugs are revealed in Linux or Apache, for example, the community begins posting fixes on the Internet within hours. At first glance, open source and security appear to be an oxymoron, but in fact they are highly compatible: the very openness of the software ensures rigorous review and testing, bolstering security. "The open source community is in a better position to provide secure code than proprietary vendors because there are so many people reviewing the code.” Jason Arnold, program manager of CSC’s H.E.A.T. security product. King (2004) reports that weather.com site serves more than 50 million pages on stormy days, and it runs almost entirely on open-source software and commodity hardware. The Atlanta-based Web site’s adoption of a new architecture and open source products “has slashed IT costs by one-third and increased Web site processing capacity by 30%” (King 2004). However cost slashing was not their primary goal of switching to an open source product. The quality of open source products was its main “selling” point. King (2004) describes Weather.com’s transition from IBM’s server software product to open source Apache Tomcat to run their website. There were several problems that the team encountered with IBM WebSphere. Performance and scalability issues were cited as the main reasons for switching to Apache’s web server. The team switched from IBM’s commercial offering to Apache’s open source implementation primarily for its quality. Apache’s open source web servers today host 68% of web servers in the world according to an August 2004 analysis of Netcraft (Gustafson, Koff). There is a general trend of major corporations switching to open source. In a November 2002 CIO survey of 375 information executives, 54 percent said that within five years open source would be their dominant server platform (Koch 2003). Not cost, but openness, security and quality seem to be the primary drivers of adoption. In a survey of over 500 development managers conducted in December 2003, 61% expected a savings of less than 10% if they switched to open source Linux (Evans Data Corporation 2004). Adoption of open source technologies differs from the adoption process of commercial software. Open source application components and commercial application components differ dramatically when it comes to benefits, decision process, and challenges (see Figure 1). Adoption of open source technologies is a critical function of an IT shop – these decisions need to be made by highly trained and qualified individuals, not usually part of emerging economies. The operating systems market has seen a rise in adoption of open source operating systems – namely Linux. Experts claim that Linux is a threat to the dominant Windows operating system even though Windows is much more user friendly than is Linux. Microsoft’s own history with Apple demonstrates that “good enough” cheap technology with broad market support can win over a superior technology. And in this case, good enough and cheap is Linux – not Windows. (Schadler 2003). operators" rather than skilled labor or specialists (Woollet 2004). Innovation is a key factor for corporations to look outside its own walls. Galli explains in a recent 2004 article that the primary driver for Sun to release Solaris (based on SCO’s Unix kernel) as open source is to leverage the large community of developers to further innovate its own product. Sun's goal is to use the open-sourcing of Solaris to drive a turnaround of the company's software business, which has lost mind share, if not market share, in the Linux and Windows crossfire. The combined intellectual power of the open source community is unparalleled by any corporation. Sun recognizes this and wants to foster a better internal software development process, work more closely with the community and then be able to drive innovation outside its own walls, increasing Solaris' penetration and pushing it into new markets, executives said (Galli 2004). Other software vendors watch nervously as open source components like JBoss and MySQL move into their core markets as well. These same vendors also use open source as a weapon for disrupting markets that they don't control. For example, SAP supports MySQL precisely because it wants to commoditize the database tier, and IBM supports Eclipse precisely because it doesn't dominate the developer tools market (Schadler 2004). Hewlett-Packard's agreement with MySQL and JBoss to certify, support and jointly sell their open-source software solutions will broaden interest in open source (Natis, Weiss, Strange, Feinberg. June 2003). Most major software players have found vested interests in supporting open source software. Still feeling the pressure from Linux and other open-source software competitors, Microsoft Corp. is reaching out further to the open-source community with offers of joint development and testing. But it's not yet clear if anyone is ready to listen. Josh Ledgard, a program manager on Microsoft's Visual Studio community team, wrote on his ‘blog’ that he is working to enable more collaboration of the open-source type with the developer community and Microsoft (Galli Aug 2004). Microsoft Corp. says it is looking to turn over more of its programs to open-source software developers, playing a greater role in a process that the Redmond-based company has criticized strongly at times in the past. Money-makers like the Windows operating system and Office productivity suite aren't on the table. But the company has so far released two software-development tools to the open-source community, and it wants to continue the practice, a Microsoft platform manager told an industry group this week (Bishop 2004). While Microsoft is testing the waters it is not clear whether the open source community is ready to embrace the monopoly. The motivation for developing open source software is not to provide free software to poor nations or be embraced by new markets– it is a techno-sociological movement that has no specific intended audience or adopter. There is nothing that stops emerging economies to adopt open source, however open source comes with standard software maintenance costs, demand steep learning curves, and require bright (and highly paid) knowledge workers, and comes with no warranty or indemnity. This makes open source adoption by emerging economies not as attractive as it seemed at first glance. I installed the Windows 8 32-bit operating system on my 5 year old T61 with 4GB RAM. I upgraded it from Windows XP that I had for a couple years because I could not use Ubuntu anymore due to Netflix and iTunes not being interoperable. The Live Tiles may be ok for a tablet with touch screen – but it is not good for programmers who are usually “keyboarders”. However, I wanted to see if I could continue to use Metro and still have the speed and resource utilization of XP. Next, I made the Windows key my friend. So Hitting the Windows Key gets you in in and out of tiles much faster than a “swipe” of the mouse etc. On another note – the whole Horizontal Scrolling of Windows Apps will be a nightmare for usability folks who have built applications to flow north-south. I like change – let’s see how others feel after a year or so. I was give this book to read by my manager several years ago, and since then I have read a lot of books on team leadership etc. This book was one of the simpler reads. To summarize this book, the authors take an approach that is akin to the live and learn approach, learn by your mistakes approach, and a generalize by personal experience approach. 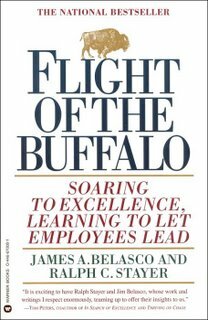 I wrote in 2006: Belasco and Stayer have written an oddly titled best-selling book in first person based on these principles of leadership. 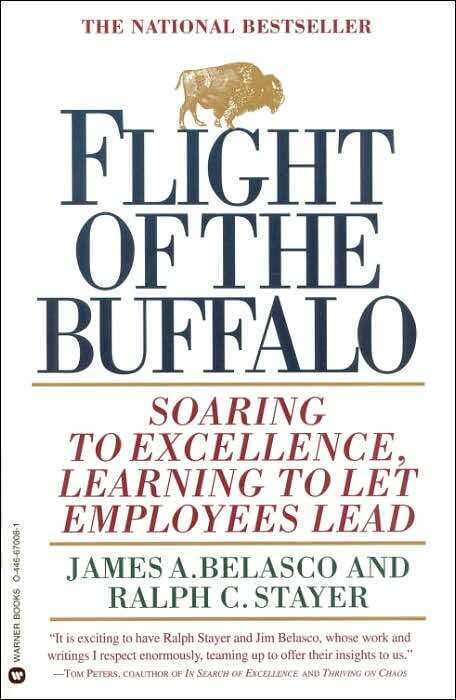 Flight of the buffalo (FOTB ) is a joint venture that dives head first into experiences of running companies, heuristics of leadership, visual analogies, gut feel, earthly common sense and best practices of "leadership". The oddity of the title is explained early in the book. The book begins with the authors' journeys into leadership and various related concepts &amp; ideas. Amongst others ideas like intellectual capitalism, leadership vision, focus, direction, obstacles (removing them), developing ownership in employees, self-directed action &amp; learning to be the leader (lead goose) are discussed. Every chapter is littered with short stories and a moral. There is an Aesop's Fables like feel to the book. Real-life examples are touching and real, however, if you have read Northouse's LTP previously, you can draw parallels to Belasco and Stayer's experiences. Specific leadership theories presented in LTP can easily experience the wise words the authors present. The book is enjoyable, and almost actionable. Some of the advice is basically common sense best practices in action. The writing style is patterned by "try,try again until you succeed, or decide to do things differently". The authors introduce interesting words and concepts. I liked the word authors invented to mean the inverse of leadership - "status-quo-ship". Another favorite is the concept of "lead goose" in the "intellectual capitalism era". Good advice is provided on every page of the book, obvious common sense is prescribed often. For example, "Leaders proact, not react" is treated as a chapter, the basic premise is that leaders should prevent problems rather than solve problems. Basic management tenets are also provided for the uninitiated, Deliverable (What will be delivered ? ), Measurement (How will we know it is done ? ), Date (When will it be done ? ), Person Responsible (Who will do it ?). The authors recommend that every employee do a process analysis by asking "what can i stop doing?" - remove obstacles. Expectation setting on staff, customers and oneself is discussed. Henry Kissinger is cited as asking "Is this your best work?". The author(s) push for excellence through action. I found the authors doing a good job in the area of potential and reaching it. What's the difference between those who reach their potential and those who don't ? Those who do, bring a discipline with them to every task they face. They are willing continuously to challenge themselves. They keep learning how to get better because they do not accept falling short of their potential. This book can become suddenly interesting and intensely revealing if you decide to read Northouse's LTP first. It is the perfect anti-dote to analysis by knowledge (knowing too much, but acting too little).